If you have been watching the KES newsfeeds, you know that September 2018 heralded a new era for King’s-Edgehill Athletics. We built Canada’s safest and best new synthetic turf sports field! Surrounding our new turf field is an 8 lane running track. At this point, it’s dirt and crusher dust but we’re inspired to get this track finished, paved and rubberized, to honour KES legend, Guy Payne. Guy came to KCS in 1967 as a young teacher and stayed here for the duration of his teaching and coaching career. Although officially retired, Guy has entered his 52nd year of giving back to King’s-Edgehill School through mentoring, coaching, and inspiring Student Athletes both on and off the running track. More than 350 athletes, plus the KES Community at large, will benefit from the introduction of this new sports facility. To get this track complete, we need to raise 1.2 million dollars! 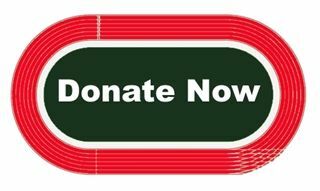 We are asking the KES Community to to help us build the "Track of Payne" by making a gift of ANY amount in honour of Guy Payne. As we continue our fundraising efforts throughout the coming year, we hope you will spread the word of the “Track of Payne” and we promise to keep you up to date on our progress!